Maine’s busy tourist season is just around the corner and many stores, restaurants, and taverns will be bringing on new staff. Healthy Acadia is offering Responsible Beverage Server and Seller Trainings to provide anyone employing individuals who sell or serve alcoholic beverages with the knowledge they need to prevent violations of liquor laws. This course emphasizes increasing employees’ knowledge about liquor laws, the importance of preventing underage sales, and sales to visibly intoxicated individuals, as well as building skills the skills necessary to handle refusing service when necessary. Employees will receive training on best practices to identify minors, false identification, and signs of visible intoxication. Training employees through this 4-hour course may lead to lower insurance rates for businesses and will help reduce the risk of making costly and/or tragic unlawful sales. Responsible Beverage Server and Seller Trainings will be offered at three locations in Hancock County this April: on April 19, 2018 in Bar Harbor at the Machias Savings Bank Community Room (96 Cottage Street); on April 20 at the Blue Hill Library’s Howard Room located (5 Parker Point Road); and on April 25 at the Ellsworth Public Library’s Community Room located at 20 State Street. Responsible Beverage Seller trainings (for employees of retail stores and other businesses that sell alcohol to be consumed off-premises) will begin at 8:30am.Responsible Beverage Server trainings (for employees of restaurants, taverns, hotels or other businesses that serve alcohol on-premises) will start at 12:30pm. The cost for training is $25 per person; participants will receive a certificate valid for 5 years. The latest ID Checking Guides will also be available for purchase at $20 per copy. For more information, to sign up for training, or to schedule a training for 6 or more employees at your business, please contact Tara Young at 667-7171 ortara@healthyacadia.org. 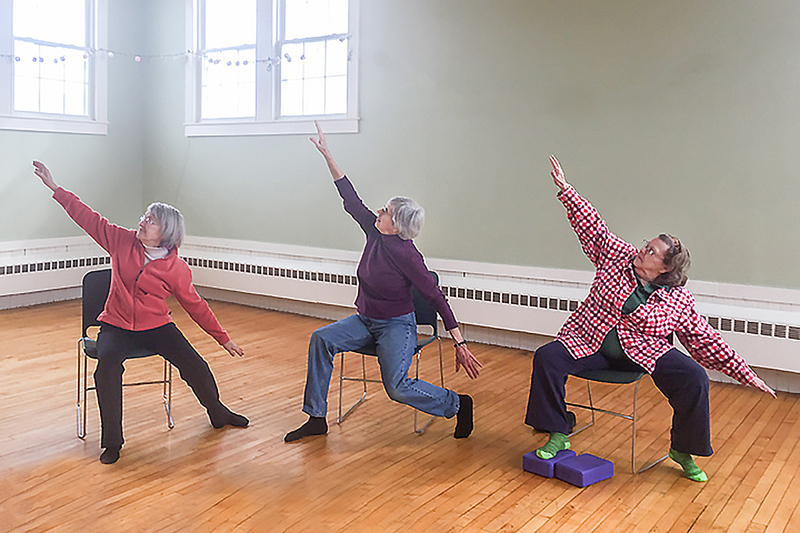 Chair Yoga for Every Body, Yoga Dance for Seniors, and Yoga for Cancer are being offered on MDI through the Graceful Aging program, a new initiative of Healthy Acadia launched earlier this year. The classes, taught by certified yoga teacher Susan Sassaman, meet weekly in Bar Harbor and Southwest Harbor, and are free to all (donations are accepted). Chair Yoga takes place entirely seated, so there is no need to worry about balance or strength issues. Classes incorporate gentle stretching, breath work, strengthening, and relaxation. 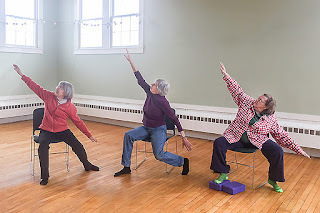 Yoga Dance for Seniors features a combination of gentle, seated yoga and easy dancing across the room as a group. Movements flow naturally to accompanying musical selections for a great workout that’s just plain fun. Yoga for Cancer, a specialized yoga methodology, is tailored to address the physical and emotional needs left by cancer and its treatments. Classes include a full range of strengthening and restorative yoga postures and relaxation. All classes are evidence-based, providing the health benefits of yoga: they stimulate the immune system, improve flexibility and strength, reduce anxiety, and help to boost overall well-being. The Graceful Aging program also includes Tai Chi for Health, Fitness for Parkinson’s, and meditation classes. For more information, including class times and locations, contact Susan Sassaman (288-8103; cloudnine@gwi.net), or visit www.barharboryogadance.com/. Healthy Acadia, working in Hancock and Washington Counties, is dedicated to building vibrant communities and making it easier for people to make healthy choices for themselves and their families. For more information visit www.healthyacadia.org. 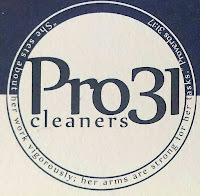 Welcome to New Chamber Member Pro31 Cleaning Solutions, Inc. 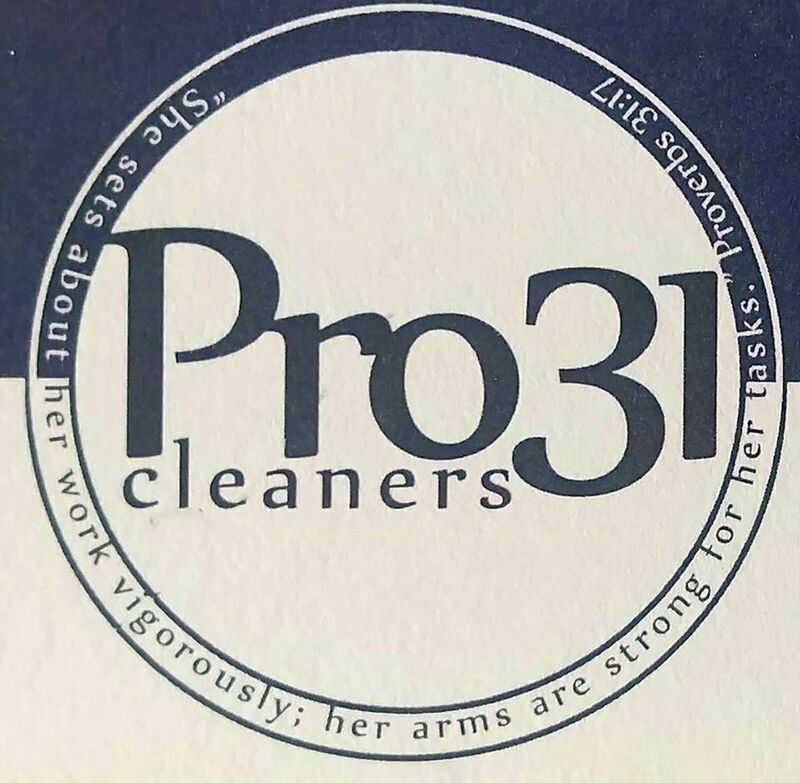 Please join me in welcoming our newest Chamber Member, Pro31 Cleaning Solutions, Inc.
Melinda Proulx, owner of Pro31, says, "We are excited to announce that we are officially open on 101 Main Street, Southwest Harbor in the Marketside Plaza Laundromat!! We are across the parking lot from the Food Mart. We offer full service laundry drop off and pick up. Drop it off with us on your way to work and stop on your way home and pick it up! Need us to come and get it? Give us a call at 664-9851 and we’ll come get it for a small fee. All you’ll have to do is put it away!!! We also sell Amway, Norwex and DoTerra in our showroom. If you aren’t cleaning with just water and Norwex, well, you should be! Pop in and ask us why!!! Stop by and say hello! Join our wash club where your tenth load is free! Let us do your dirty work and we’ll make your life easier with Pro31 Cleaning Solutions! Proudly serving the wonderful people of the greater Ellsworth area, Mount Desert Island and the outer islands!" Bar Harbor Bankshares is pleased to announce the availability of a $1,500 scholarship for high school graduating seniors who are going on to college. The deadline to apply is May 1, 2018. Applications are available at any branch of Bar Harbor Bank & Trust and Lake Sunapee Bank, and can also be found online at www.bhbt.com. This new scholarship is for income eligible applicants who have attended a technical career program as part of their high school curriculum. Only those students residing in the following counties are eligible: Maine – Hancock, Kennebec, Lincoln, Penobscot, Sagadahoc, Waldo, and Washington; New Hampshire – Grafton, Hillsborough, Merrimack and Sullivan; Vermont – Orange, Rutland, Washington and Windsor. There is the potential for15 awards of $1,500 each. From qualified applicants, one student will be chosen per technical center in the geographic region outlined above. The eligible technical centers include: Maine - Bath Regional Career & Tech, Capital Area Technical Center, Coastal Washington County Institute of Technology, Hancock County Technical Center, Mid-Maine Tech Center, St. Croix Regional Tech, United Technology Center, and Waldo Tech Center; New Hampshire - Concord Regional Technical Center, Hartford Area Career & Technical Center, Manchester School of Technology, Milford High School & Applied Technology Center, Nashua Technology Center North, Nashua Technology Center South, Sugar River Valley RTC Claremont, Sugar River Valley RTC Newport, and Wilbur H. Palmer Career & Tech Center; Vermont - Central Vermont Career Center, Hartford Area Career & Technical Center, Randolph Technical Career Center, River Bend Career & Technical Center, and Stafford Technical Center. Application requirements include a personal statement describing career aspirations and college choice, explanation of leadership and community service, high school transcript, copy of FAFSA, and the completed one-page scholarship application. 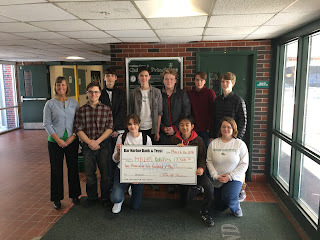 This scholarship, offered by Bar Harbor Bankshares, is being administered by the Maine Community Foundation. For questions, please contact the Foundation at 207-667-9735. Bar Harbor Bankshares (NYSE MKT: BHB) is the parent of Bar Harbor Bank & Trust with more than $3 billion in assets. Founded in 1887, Bar Harbor Bank & Trust is a true community bank serving the financial needs of its customers for 130 years. Bar Harbor Bank & Trust, and its Lake Sunapee Bank division, provides a full range of financial services through its 49 branch locations in all three Northern New England states of Maine, New Hampshire and Vermont. Bar Harbor Bank & Trust was named one of the 2017 Top 200 Publicly Traded Community Banks in the nation by American Banker magazine. For more information call 1-888-853-7100 or go to www.bhbt.com. Member FDIC. Southwest Harbor. Healthy Acadia and MDI Hospital & Health Centers are partnering to offer a free, 6-week comprehensive pain self-management series at the Community Health Center, 16 Community Lane, Southwest Harbor, on Fridays from 1:00pm to 3:30pm, beginning April 13 and continuing through May 18, 2018. “Taking Action on Pain” classes are facilitated by two Stanford University-trained leaders and offer a supportive environment for participants to provide each other with mutual support and share their successes. Evidence demonstrates that it is the highly participative process in which the program is conducted that makes it so effective. This helps increase participants’ self-assurance in their ability to manage their health and maintain active, satisfying lives. Healthy Acadia’s “Taking Action on Pain” program is supported by Grant Number D04RH28404 from the Health Resources and Services Administration (HRSA), and operating division of the U.S. Department of Health and Human Services. For more information about Healthy Acadia, please visit www.healthyacadia.org.